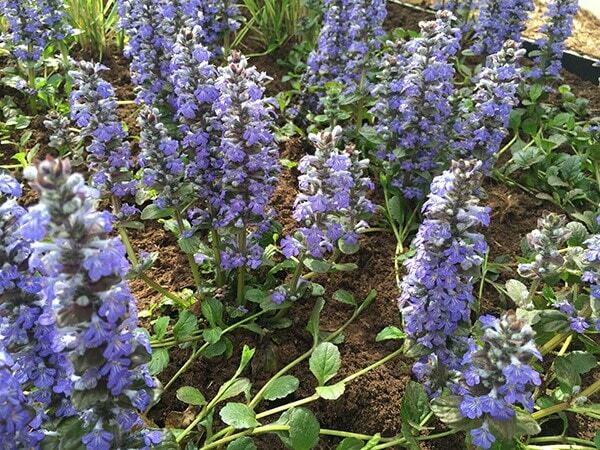 As it soon knits together to form an evergreen carpet, bugle makes an excellent groundcover and is particularly useful for planting at the front of a shady border. 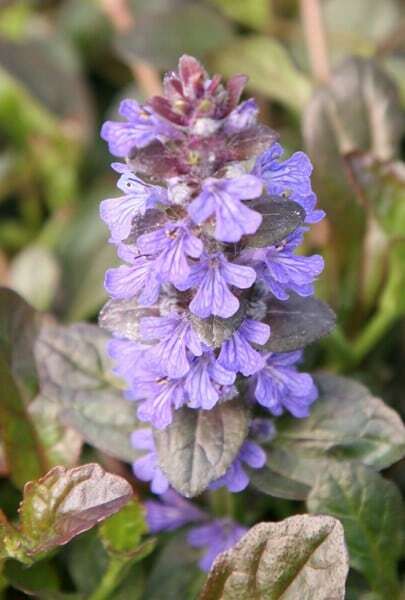 This form has attractive, bronze-purple foliage, which is topped with small, densely packed upright spires of deep blue flowers in spring. It will tolerate sun or shade and even poor soils, provided there is adequate moisture. Garden care: To rejuvenate and minimise congestion, lift and divide clumps in late autumn or early spring every two years. Brilliant colour and ground cover plant. Spreads well within the season. Robust enough to with-stand a bit of chicken scratching and trampelling. Would be good on the side of the path where it could over flow and give a natural setting. I would buy any product from you again......You're great!!!! I can only speak well of your company, promptness, courtesy, delivery excellence, good healthy plants, and I can't stop buying.......! I have recommended you to many friends. Thank you! What low-growing evergreen would you suggest? Please help! Can you suggest a very low growing plant to cover a 1 metre long area alongside a lawn. It needs to be able to cope with fairly dry sunny conditions and be attractive all the time so nice leaves or similar. What trailing plants would you suggest? I have just had my sloping garden landscaped and now have a great many retaining walls which need softening with planting. Some walls have paths below them so I cannot plant climbing plants. Could you please suggest some plants which would trail down from a higher planting position?